I think bloggers are the most amazing people! for visiting my blog, and participating! OMG Debi, What a wonderful Valentine Surprise. I love your work Debi, it is so beautiful. You have really made my day so special. Thank you so much. I look forward to receiving your beautiful work. I will treasure it. Happy Valentines Day. Happy Valentine's Day Sweet Friend! Wishing you a day filled with love. Thanks for offering the great giveaway! Happy Valentine's Day to you and yours! 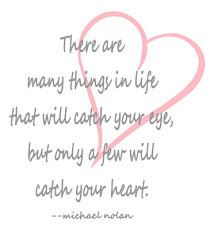 Happy VAlentine's DAy....Hope you are having a wonderful day!!!! It was a fun game and giveaway. Hi , beautiful blog, wondwerful!! !